Ron Semaria has the experience and expertise to help solve your problems quickly and professionally. 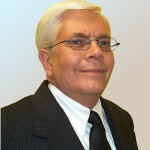 Ron Semaria has the expertise to help you resolve almost any tax or accounting situation. As a former Internal Revenue Service Agent and Forensic Accountant, Ron’s 40+ years of experience is invaluable for even the most complicated cases. Recognized as one of the country’s leading Tax Consultants & Fraud Investigators, Ron Semaria of Semaria Consulting provides a complete range of Accounting, Fraud Detection, Investigative, Tax Preparation & Tax Audit Services in New York City and throughout the surrounding area. His vast experience gives him a unique ability to solve your tax & accounting problems quickly and professionally.